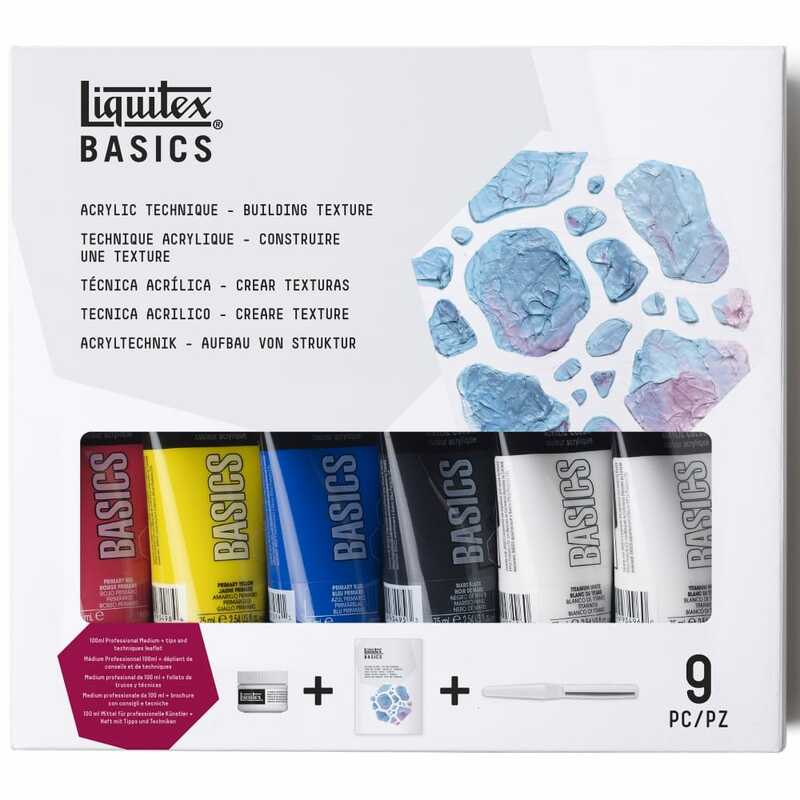 The set contains 6 x 75ml tubes (1 primary red, 1 primary blue, 1 primary yellow, 1 mars black, 1 titanium white), 1 x 100ml professional modelling paste, and 1 palette knife. The modelling paste is made of marble dust and 100% polymer emulsion which is used to build heavy textures it is lightweight, non-toxic and dries to the hardness of stone it can also be sanded or carved when thoroughly dry. Also contains a bonus educational booklet with tips and techniques. Perfect for beginners who are interested in moving into professional techniques.